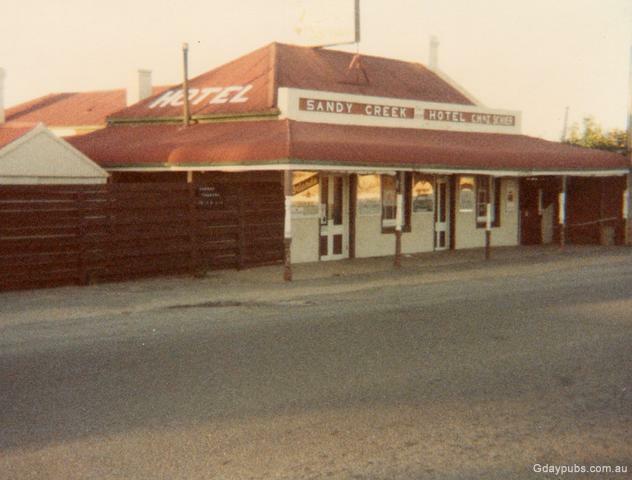 The hotel opened in 1867 and is on the main road between Gawler and the central part of the Barossa. The Sandy Creek Hotel, which has been open over 120 years, is a famous watering hole. The hotel is best known for the prodigious amounts of alcohol served to the US soldiers during World War II, who had a camp in close proximity. Several of these soldiers have returned in later years and have placed a plaque within the hotel in memory of the good times they experienced there and of fallen comrades. 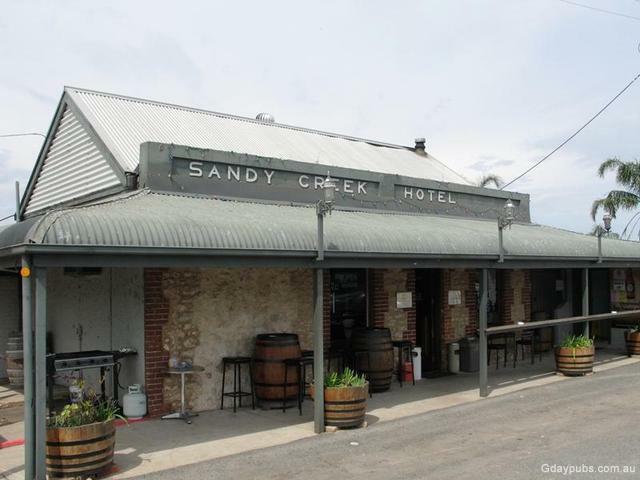 It is believed this pub still holds the South Australian record for the greatest amount of beer served in a single week. This was set, unsurprisingly at the end of World War II.